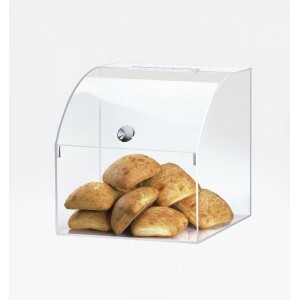 Classic Acrylic Food Bin with Knob - Cal-Mil Plastic Products Inc.
Showcase your baked goods and freshly made breads with this unique and modern food bin. It features a rounded front lid with a stainless knob for easy accessibility. This item is great for displaying and serving your delicious treats to your guests and customers!